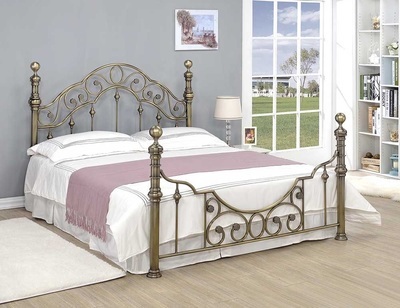 Best selling antique Brass bed by exclusive brand 'Hi 5' that will create a glamorous and contemporary look in any bedroom. Stylish and sophisticated this stunning looking bed features the classic vintage look with authentic character that will suite any room decor. The Canterbury bed benefits from a sprung slatted base for ultimate comfort and also to maintain your mattress in the best possible condition. 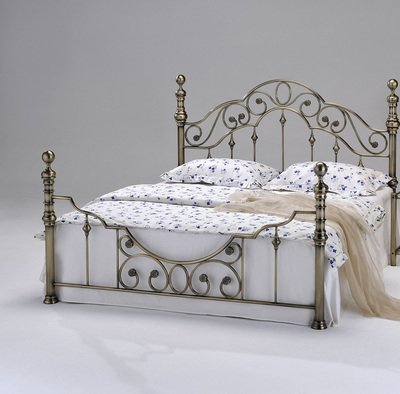 There have been imitations of these style of beds in different guises but the 'Hi 5 version remains the original, providing greater quality & a more solid & robust frame than any of its competitors. Our beds are manufactured from UK Fire Safety regulated materials, not all cheaper versions sold online can guarantee this.